No wave pioneers have their later catalogue repressed. 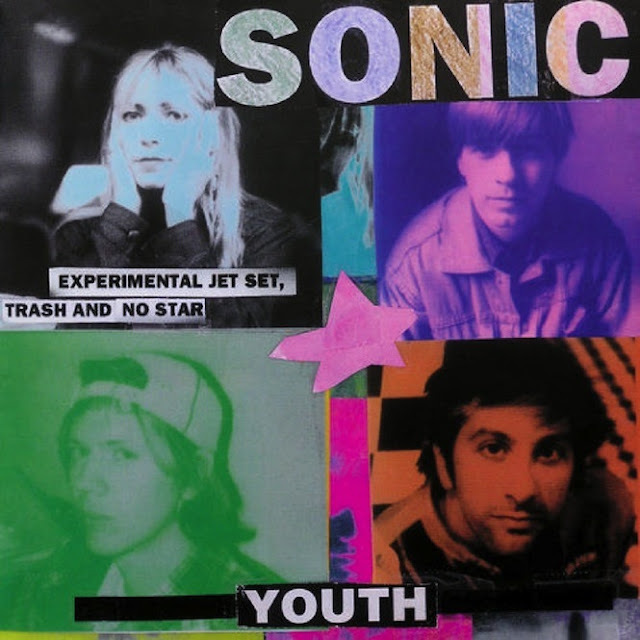 Sonic Youth are to have six albums reissued on vinyl in two batches in early 2016. Revisiting the band’s later work, the first set sees heavyweight vinyl represses for their 1994 album Experimental Jet Set, Trash and No Star, A Thousand Leaves from 1998 and 2000’s NYC Ghosts & Flowers. Less abrasive than their early work on SST, the major label releases saw Sonic Youth take a more low-key approach to song-writing, resulting in Experimental Jet Set, Trash and No Star charting higher than any other Sonic Youth album (until 2009’s The Eternal). Tracing the band’s output through the new decade, the second set of three albums revisits Murray Street (2002), Sonic Nurse (2004) and Rather Ripped (2006). All six will be released on USM as part of their Back To Black series, with the first three dropping on 22nd January, and the second following on February 19th.